This was a mixed week, some meh days, but there were also some good things that happened. The week started with lots of little things not going right and then on Wednesday we had a dentist visit. I hate going to the dentist. And now I have to go back in two months to get two caries fixed, not looking forward to that. And I had a headache that lasted for a whole day and I felt pretty bad. And it was another warm week, I am ready for some cooler weather by now. So that was the meh part of the week. Luckily also some good things happened. I worked on a new cover reveal and book blitz sign-up posts and a few more new tours/ cover reveals got booked. So it was a good week for business and I’ve been quite busy with work, yay! And next week is my 3 year anniversary for Lola’s Blog Tours, so I am looking forward to that. When walking to the dentist we noticed they are opening a cinnamon bun shop there, so hopefully next time I go to the dentist it will be open and I can buy a cinnamon bun on the way back. I tried out my new garlic press that I got for my birthday and it’s great, saves a lot of time compared to cutting it by hand. My two current reads have both been good ones and I got some new books. I also won an amazon gift card, yay! I found a game that sounds really good that I added to my wishlist. And I made egg salad for lunch on Thursday. And on Friday I got to visit my mom, we had a nice dinner and talked a bit. Sorry I didn’t take any pictures this week :(. I didn’t read a lot of books this week, only managed to finish only one, but I did make good progress on my current reads. Faerie Realm was really good. I probably will be finished with A Mortal Song today, it’s really good! And Faerie Wrath is good too so far, it’s fun to read two books in the same series in a row on my Kobo as I hardly make time for that. 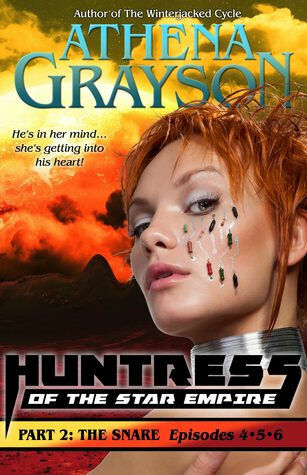 – Distant Horizon by Stephanie and Isaac Flint – 20 September – New! – Book Blitz: Due South Boxed Set by Tracey Alvarez – 26 September till 1 October – New! 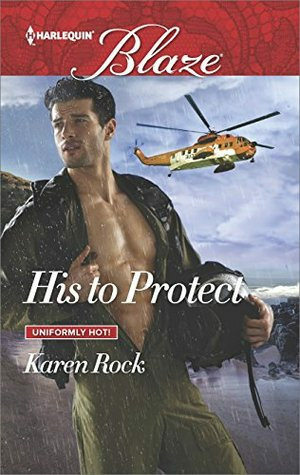 His to Protect I got for review for during a tour. 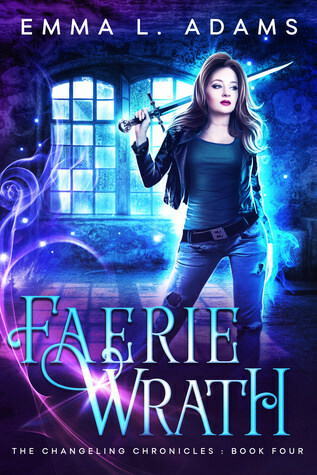 Faerie Wrath I got for review and I am currently reading it. And I also got I Found My Rhino for review, but the cover isn’t released yet. 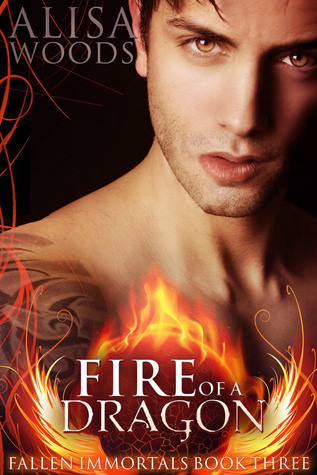 Fire of a Dragon was bought with amazon gift card money that I won. 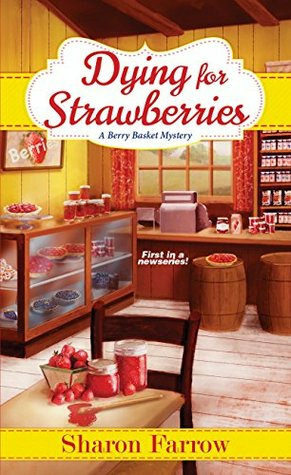 I got Dying for Strawberries for review from the publisher on netgalley. This week I got the following freebies (they were free when I got them): Cappuchino’s, Cupcakes and a Corpse (Cozy Mystery), Awaken (YA paranormal/ mermaids), Successful self publishing (non-fiction writing), A Bramble House Christmas (Contemporary Romance/ Christmas) and Open Minds – Gefährliche Gedanken (YA sci-fi/ dystopia) one day I plan to learn german and then I can read this one, also it’s a great read. I already read it in English. I tried a few Emma L Adams books this week but didn’t finish any of them. Nothing wrong with the books but I just didn’t get into them as they weren’t quite my thing. Glad you did better with her book though! It’s nice when you find the good books! Sorry to hear her books didn’t quite work for you. I’ve enjoyed all of her books I’ve read so far :). Sorry your week was up and down. I totally know how that feels, this week wasn’t what I had planned but it happens. I hate the dentist too, like HATE them. I try very hard to keep things in order when it comes to my teeth but even a cleaning seems to be painful. Don’t forget to let me know what day you plan to post the anniversary, I want to help promote it for you. I have a hand held garlic press, I love it. Makes the garlic more fragrant for some reason. I get really anxious and nervous when I have to go to the dentist and then I got the news I had two caries and I felt even worse. I hate going to the dentist. I brush them well and even use this special toothpaste once in a while and floss and nothing seems to work. I still get caries. My anniversary is on 13 September, so that’s Tuesday. I will send you the link once the post is live if I remember. Thanks so much for wanting to help promote it :). I always just cut the garlic, but this handheld garlic press is great. It’s a really good one. Going to the dentist can make any week blah 🙁 but yay for cinnamon buns next time you go! Berls recently posted…Sunday Post | Feeling Broke! Going to the dentist really put a damper on the whole week. I do hope the cinnamon bun shop will be open next time. I was happy to see a cinnamon bun store here as you can’t really buy those here in many places. No it sure wasn’t fun :(. I sure hope this week is a better one. Faerie Realm look cool. I am not a fan of the dentist and have meds I take before going..lol Hope this week is all sunshine and smiles! kimbacaffeinate recently posted…Sunday Post #230 Riddle Me This…..
It’s a great series :). And going to the dentist is the worst, I hate that I have to go back in two months for the caries. Farie Realm looks really good. I love it when I can read a lot of books in the same series. Sometimes it’s good to read something you enjoy. It was nice to be able to start Faerie Wrath right after Faerie realm, as I normally don’t make time for that. oh I am so sorry it wasn’t the best week with the headache!! I hate those. Its why I make sure I drink plenty of water and exercise daily. The worst is waking up with one, because nothing gets rid of it till the next day. Hope this next week is much better for you. I have been putting off going to the dentist since I think I haven’t a cavity also. / I love my garlic press. / I am considering requesting the Faerie Realm audiobook when it is released, so I look forward to reading your review. We usually go twice a year to the dentist as they recommend that here. The garlic press is so handy, didn’t realize how neat it is to have until now. 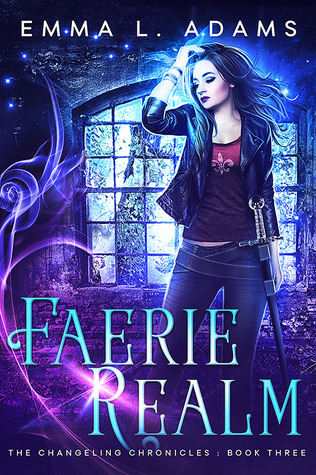 I hope you pick up Faerie Realm when it gets to audio! It’s a great series so far! Faerie realm look good, those kinda books always catch my eye, and I think I’ve seen Emma Adams tweeting about them. I should try them sometime. I went over to Goodreads to check em out and looks like this is book 3? Congrats on your anniversary for the tour business. I think I remember when you were starting out as I started blogging right around that time. Glad it’s going well. 🙂 And I have to ask- what is hot lightning? With a name like that it has to be good?? Although it sounds familiar- you may have posted about it before. Anyway have a great week! It’s a great series so far. I would definitely recommend it. Faerie Realm is book 3 indeed. Faerie Blood is the first book. Oh that’s a fun coincidence you started blogging around that time. Then it should be your 3 year blogoversary soon too. Congrats! Hot lightning is mashed potatoes with apple. It’s called “Hete Bliksem” here in the Netherlands, so I literally translated the dish name ;). I have always hated the dentist as well. It just stresses me out!! Congrats on having such success with the blog tour business! Thats great! Have a wonderful week! Yes same here, I stress way too much when I have to go to the dentist. It really is amazing to look back and see how far I’ve come in 3 year with my blog tour business. Oh, I don’t like going to the dentist either. Sorry you have to go back, but hopefully you can get a cinnamon bun next time! That will be a nice treat. I’m SO ready for the cooler weather too, since I get hot so quick. Yes that’s the only thing about going back to the dentist that cheers me up, that I hopefully can get a cinnamon bun afterwards. I really hate headaches. Sorry to hear you had one all day. Yah for the gift card win. Nice book haul. Sorry your week was not as good as it could have been, but still good you had some good things happen. Faerie Realm looks good. Can’t wait to see what you thought on it. Have a great week! I’m sorry about the not so good days, but yay about the good ones! And oooh a cinnamon bun shop, that sounds amazing! I have been craving cinnamon buns lately but have not been food shopping at the store in a few weeks where they sell this frozen cinnamon bun bites thing I sometimes buy. It looks like you had a fairly slow reading week, but at least it was a good book! I like the cover too. And that’s good that you’ve made progress and are enjoying your current reads. I’ve been having slow reading weeks for a while and am trying to start getting back on track more with my reading. It really was a mixed week with bad and good things. I am really excited about the cinnamon bun shop as you hardly ever see those here. I wish they sold those frozen ones here. I did make some progress with my books, but it feels so empty to only list one book read. I did finish A Mortal Song by now and am making good progress on the next book. So hopefully I can finish 3 books this week. So far this week has been pretty good! I am sorry the week wasn’t better for you, Lola. Although I am glad the work week was at least a good one! And it sounds like there was some good mixed in with the bad. I never like going to the dentist either. Faerie Realm sounds very good! I am glad you enjoyed it. It wasn’t all bad luckily, there was some good mixed in with the bad. Going to the dentist really puts a damper on my whole week, I hate going. Woohoo congrats on the 3 years!! Two questions. What is hot lightening? And Rosti with beets? They are making you wait two months to fix your cavities? That seems a long time. Hope you are not in any pain. Have a good reading week-looks like you got some good books! Hot Lightning is mashed potatoes with apples. the link send you to the recipe on my blog. It’s literally translated from Dutch, I probably shouldn’t have done that, but it just sounds more fun than mashed Potatoes with Apple. They had an open slot the next day, I said no thanks as my mental well being wouldn’t do well with dentist two days in a row. The next opens lot was on 20 September and I have a cover reveal then, so that didn’t work. So early November it is. I am not hurting at all, the cavities are pretty small. But then again I never feel the cavities until they start fixing them, ugh. Blerg on the dentist. I don’t like going either. Hope this week has a lot more good days than meh ones for ya! I just hate going to the dentist, definitely puts a damper on the whole week. This week has a lot of good days, although also a few less good things happened. Glad the end of your week was better after a dubious beginning. Hate it when a headache just won’t go away. Oh yum, a Cinnabon! Nice stack of books and I’m glad the one you’ve read already is good. Oh cool! A dragon book. It definitely got better after the bad start of the week. I even ended up getting another headache on saturday, grr. I blame the heat. I haven’t started that dragon series yet, but I read one of her other books (now reading book 2)and really enjoyed it. I want to catch up on her other series first before I start this one. At least the meh part of your week was balanced out with some good! It seems like you had a productive week work-wise so even though you didn’t read a lot, you got a lot done. That’s always a nice feeling. And you’re reading books that you’re enjoying. That’s good too. 🙂 Congrats on your almost 3 year blogoversary, Lola! That’s fantastic! I hope your week so far is going well! It was nice there were some good parts as well. And a productive week is always a good feeling :). I just finished 3 books that were al 4 stars this week, so i did got a lot of books finished this week, although two of those I already made a lot of progress in last week. Sorry last week was kind of meh – even if there were good days as well! I hope this week is full of just good days for you – both personally and work-wise. Congrats on 3 years for Lola’s Blogtours 🙂 That’s awesome. Lats week was a bit mixed with the bad and good things. So far this week is pretty good, only the weather is too warm. Thanks! It’s amazing to realize I’ve been doing this for 3 years already! I am way behind on my blog reading due to traveling this week! Sorry last week was so meh. I hate that you get so many headaches! I hope those go away sometime soon. Do you think they may be allergy related? My nose is so stuffy lately! And I’m sorry to hear about the cavities too. 🙁 Let’s hope this week has been going better for you! S. J. Pajonas recently posted…Happy 3rd Anniversary In Publishing! I hope you had a fun trip! I’ve always had headaches frequently. Nowadays they last longer, but happen less frequently. I get them about once every two weeks. I am not sure if I am allergic to anything. I never have been able to find a pattern, except that I am very susceptible to not getting enough sleep. If I get too little sleep a few days in a row I usually get a headache. And sometimes when I work too tensely, which I usually don’t notice until it’s too late. Migraines run in my family, so that also could be part of the what causes it. I probably should go to the doctor with it once and see if they can figure it out, but doctors scare me and things like headaches are so generic almost everything can cause them.